It is amazing how fast time flies as in the month of November 2014, SGI celebrates the first anniversary of the opening of the magnificent Citadel of worldwide Kosen-rufu – the Hall of the Great Vow for Kosen-rufu in Japan. Enshrined in this great hall is the Joju Gohonzon that bears the inscription “For the fulfillment of the Great Vow for Kosen-rufu through the Compassionate Propagation of the Great Law.” This magnificient edifice is indeed a golden place of assembly to congregate the Bodhisattvas of the Earth from around the world to joyously chant before this Kosen-rufu Gohonzon. This hall is a place where world citizens of the Mystic Law gather together in rich diversity to “chant Nam-myoho-renge-kyo with the spirit of many in body but one in mind, transcending all differences among themselves to become as inseparable as fish and the water in which they swim” (WND-1,217), just as the Daishonin describes in “The Heritage of the Ultimate Law of Life”. It is a jeweled tower of unparalleled human harmony where members warmly support and encourage one another as they pledge anew to keep exerting themselves bravely and vigorously for the happiness and security of the people, the flourishing of society, the realization of world peace, and the transformation of the destiny of all humankind. As part of our efforts to celebrate the completion of the new Soka Gakkai Headquarters in November this year, our members everywhere are reaching out to others in dialogue to share with them the greatness of the Daishonin’s Buddhism and striving to achieve wonderful victories for themselves and kosen-rufu. Every sincere effort, each day of courageous action contributes to solidifying the foundation of our great bastion of humanism. Securing a concrete victory to celebrate or commemorate significant Soka Gakkai events has been the unchanging way of genuine disciples. 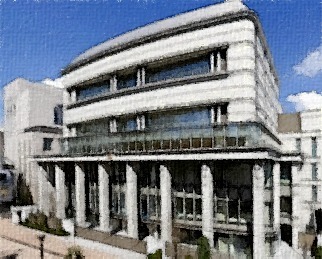 This sincere effort and courageous action of the Japanese members provided an excellent example for disciples of President Ikeda around the world to emulate in the essential phase of kosen-rufu.This is especially so in the case of the disciples of Singapore for Singapore was designated to be one of the first few SGI countries in the world to house the Mentor Memorial Hall. In March 2014, the Soka Peace Centre was officially opened. In it houses the Mentor Memorial Hall. Since Singapore has the privilege to build the Mentor Memorial Hall, it shall be the duty of disciples to learn from President Ikeda the purpose of building Memorial Halls. Shin’ichi had proposed building memorial halls and special display rooms throughout Japan to exhibit the belongings of the past Soka Gakkai presidents. He did so out of his beliefs that viewing mementos and other objects related to Makiguchi and Toda was an indispensable means for encouraging Gakkai members to study and inherit the spirit and struggle of the first and second presidents. As time goes by, those who actually knew Makiguchi and Toda would pass away too. One method of communicating their achievements and their spirit was to write about it. … If in addition, members could also see the actual objects that presidents Makiguchi and Toda had used as well as photographs of them in action, such items would be an aid in remembering the past two presidents and would enable members to feel closer to them. The objects were also a form of evidence attesting to the accomplishments of these two presidents. It was Josei Toda who came to the conclusion that constructing facilities that could forever preserve the spirit of his mentor were also necessary in order to ensure the eternal survival of the Soka Gakkai. The SPC will be a training centre for our faith, connecting us to the founding spirit of Soka Gakkai. It will be a centre to eternalise the spirit of the 3 founding mentors of the Soka Gakkai, so that all of us and our future generations will always remember this spirit and never deviate from the correct path of Mentor and Disciple, faith and kosen-rufu. While these tours can invoke fond memories and a sense of nostalgia and gratitude of the three Founding Presidents, one should not be under the delusion that such training courses alone will arouse in the participants the strong resolve to make a deep vow to win in actual battles. It goes without saying that any such sense of gratitude or heart-warming feelings will fade away with time if there is no clear concrete plans from the central leadership to win a battle for kosen-rufu soon. Only when the fortress of faith, the fortress of courage and the fortress of victory is firmly forged in the lives of each and every member can we say that the fortress for kosen-rufu, that is, our new community centre is complete in the true sense of the word. Without the personal victories of our members, there will be no victory for the Soka Gakkai as a whole. In other words, the only way to correctly inherit and eternalise the founding spirit is by winning in our battles for kosen-rufu and showing actual proof in our daily lives. Only when we plunge ourselves onto the forefronts of kosen-rufu on our chapters and districts, offer wholehearted encouragement to our members and share the teachings of Nichiren Daishonin’﻿s Buddhism can the foundation of Singapore kosen-rufu be forged and the entire organisation of SSA will pulsate with refreshing vigour. Only then will our Soka Peace Centre shine as a centre that is imbued with joy and security. What we need to do now is to ensure that this foundation we have built can be further forged and consolidated so that it will endure and sustain far into the future. In order to do so, what is important is for leaders to cherish the frontlines of kosen-rufu. All leaders should stand up with a profound awareness that they are all representing President Ikeda to serve the members. The entire Soka Gakkai rose up to engage in the shared struggle of mentor and disciple, aware of their mission as Bodhisattva of the Earth and vowing to realize kosen-rufu through their efforts. My disciples, rise up and set forth with fresh vitality and vigour to take your places on a new stage where you will carry out your human revolution. The world of tomorrow is waiting. Humanity of the future is waiting for the great march of the Soka Bodhisattvas of the Earth. All the above guidance clearly pointed out that victories can only be found in concrete actions. Singapore is indeed fortunate to have Mentor Memorial Hall established as a means to link the local members to the 3 Soka Gakkai Founding Presidents. However, in the essential phase of kosen-rufu, it is the disciples who have to take the lead in scoring decisive victories for kosen-rufu instead of depending on the mentor. NOW is the time for disciples to give ourselves wholly to the task of scoring victories, based on the great VOW for kosen-rufu!